The Asian monsoon plays a major role in the variability of seasonal temperature and precipitation and the sub-seasonal statistics of these and other climate variables. 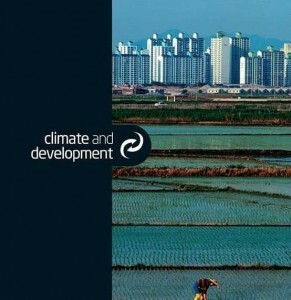 Due to its considerable impact on the quality and quantity of agricultural output, there is an essential need for greater understanding of the historical risk associated with the Asian monsoon, with the ultimate goal being better climate risk analysis to support agricultural decision-making in South and South East Asia. In response to partner demand expressed by the CCAFS South Asia Regional Program, CCAFS worked with the International Research Institute for Climate and Society (IRI) to develop a suite of online “Maproom” tools for analyzing agriculturally important aspects of climate variability, based on gridded historical daily precipitation and temperature data. This report documents the rationale, development of, and use of the Monsoon Asia Historical Precipitation and Temperature Monitoring Maprooms. These tools aim to provide enough flexibility to support a demanding range of analysis and decision support needs. The weather factors that impact agriculture, and the analyses that are needed to support agricultural decision-making, vary considerably by location, production system and time of year. These Maprooms serve as the precursors to the later developed of the Daily Climate Analysis Maprooms.